Update on Tanya Davis Art - she is artting right along, never fear! Here I am trying to play catch up a bit. Omni Art House has created the Pimp My Poe exhibition! All Poes will be displayed and up for sale online as well as in a local Baltimore venue (TBA). Each artist will receive 100% from the sale of their piece. 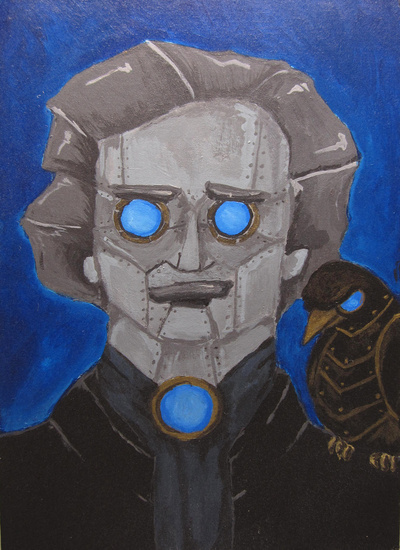 Robo-Edgar looks good but he needs more metallic shine. The drawing of him is good and I love that bird.